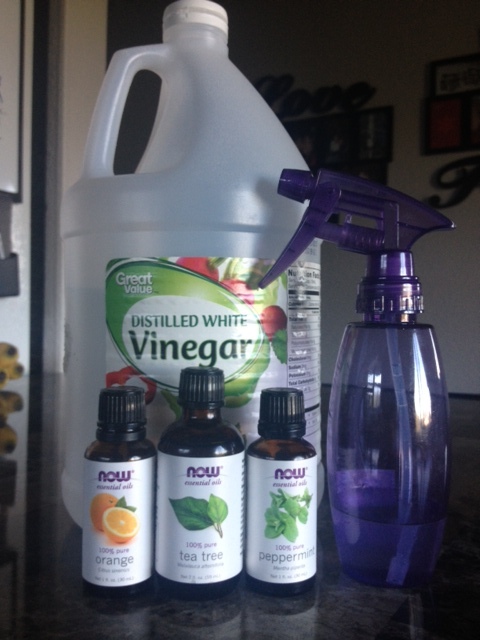 Want an all natural, all-purpose cleaner that is extremely cheap too? All you need is an empty spray bottle, white distilled vinegar, water, and essential oils. The cleaner I make for cleaning my kitchen is about one part water, one part vinegar, and 10-20 drops of essential oils, such as Tea Tree, Peppermint, Orange, and Lavender. (I recommend pure, organic essential oils). You definitely don’t need to add that much vinegar to the water, but a good cup of vinegar to three cups of water will help ensure germ fighting power. You should then label it with the amounts of everything you used so you can make it exactly the same next time! Enjoy your cheap, but quality cleaner!